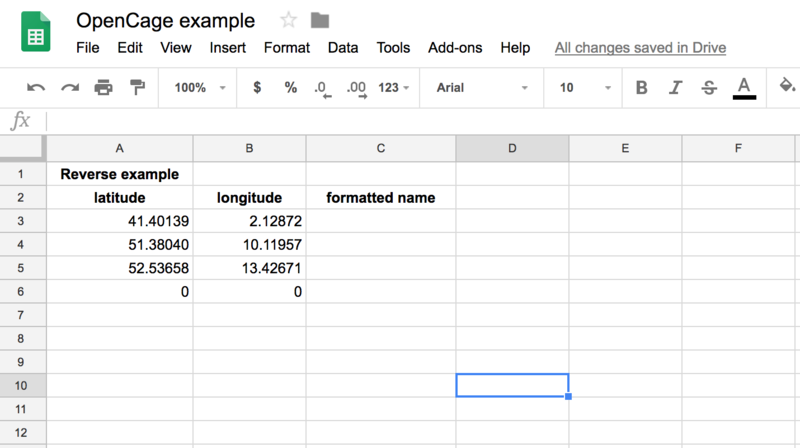 You can use Google Sheets and the OpenCage Geocoder to quickly convert a list of coordinates to placenames (reverse geocoding) or vice versa (forward geocoding). 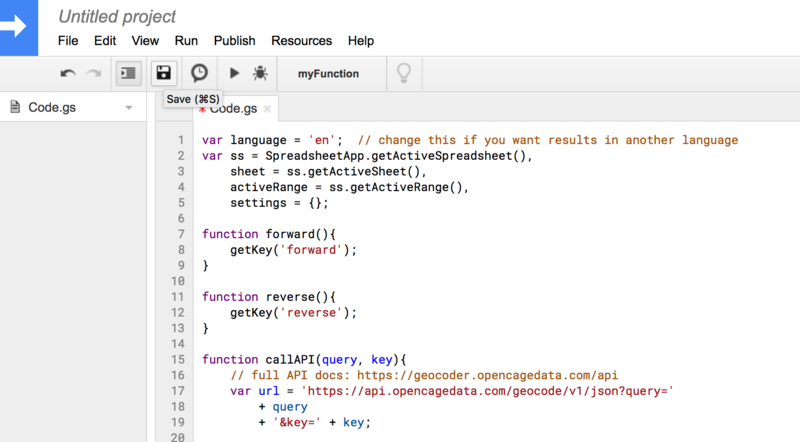 copy the script opencage.js into the scripts editor and save, name the project whatever you like, the default is "Untitled project"
select three columns, and then click on "Latitude, Longitude to Address"
You will be prompted to give the script permission to run. You will need to select "Continue". 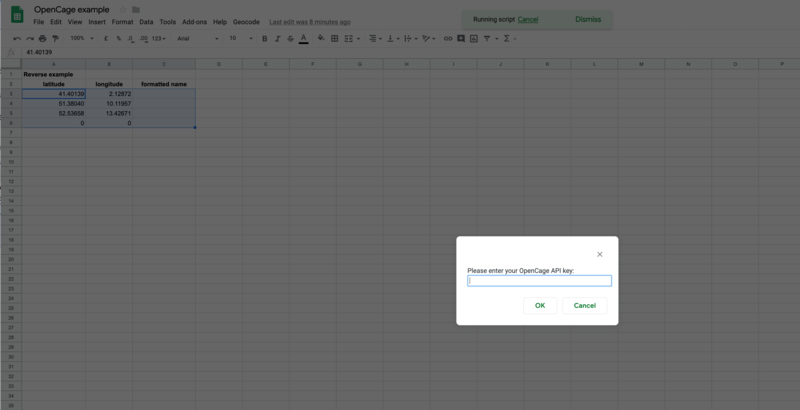 A popup will appear asking you which Google account you want to authorise. Select one. The popup will display a warning that our app isn't verified. 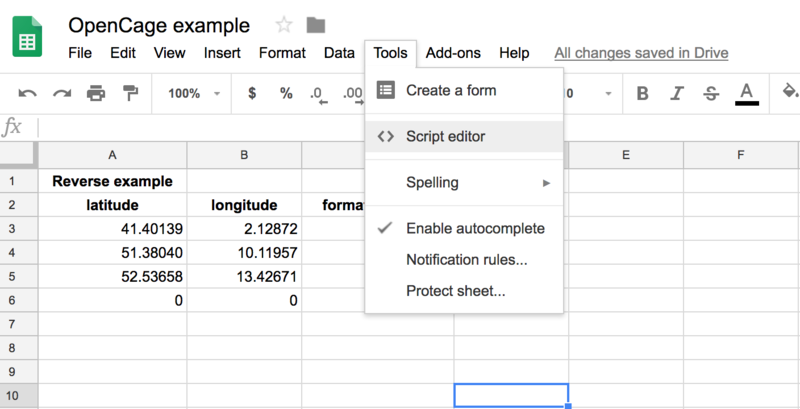 Click "Advanded"
Scroll down and then click on the link to "Go to your-project-name (unsafe)"
Now you will need to give the project access to your spreadsheets. 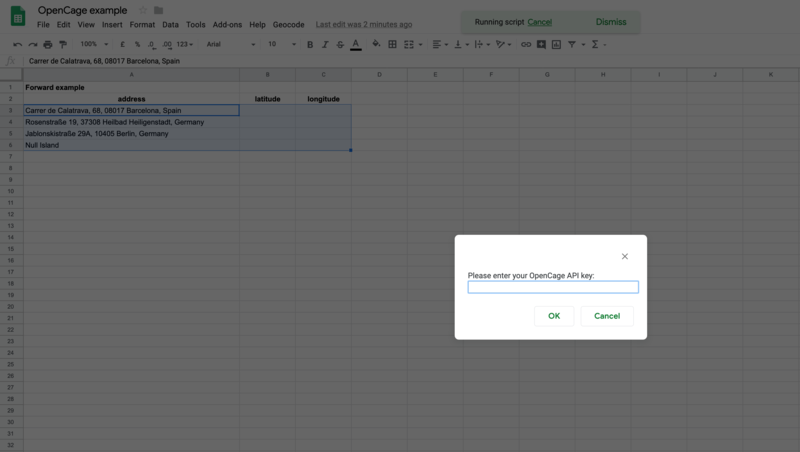 Click "Allow"
A popup will appear in your spreadsheet asking your for your OpenCage API key. 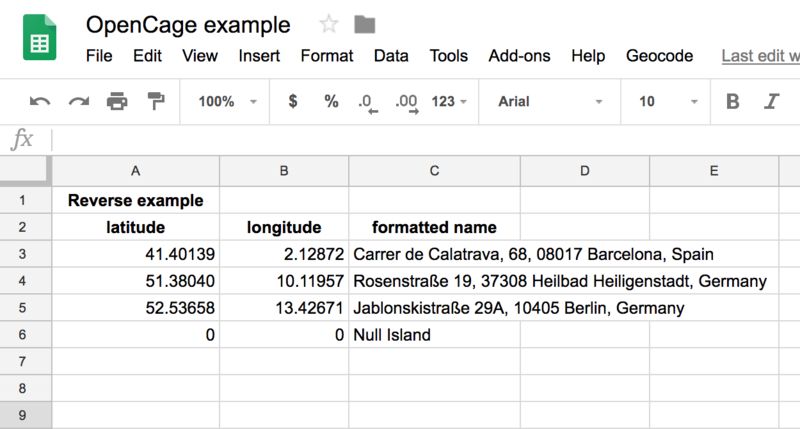 Enter it and click "Geocode"
the results will appear in the third column you selected. 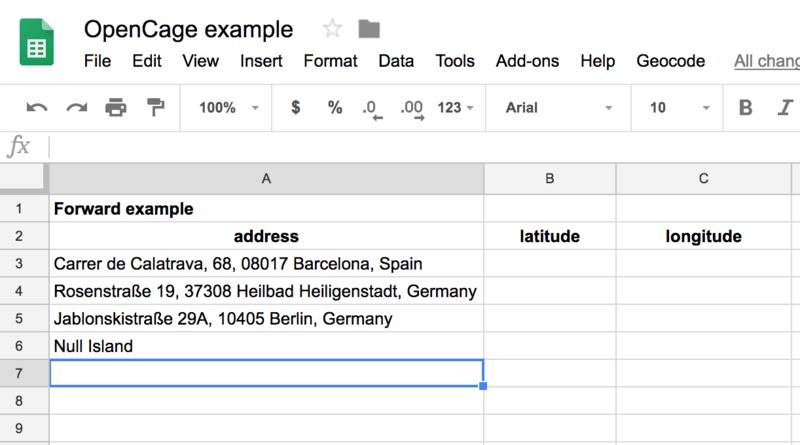 select the three columns and then click "Address to Latitude, Longitude" in the "Geocode" menu. The results will appear in the second and third column you selected.